Despite daunting challenges, rapidly urbanizing Asian cities have a range of options to improve road safety and save lives. Photo by Ashok/Flickr. With the next few decades expected to witness to Asia’s swift rise in economic and political influence, the eyes of the world have focused on Asian cities as the engines of this growth. Last month’s Asian Development Bank Transport Forum 2014 – which brought together policymakers, transport officials, and industry leaders from across Asia – highlighted the need for safe, sustainable transport in the Asian Century. Participants discussed the challenges, opportunities, and success stories from Asia and beyond in meeting the transport and mobility needs of this fast-growing region. Providing adequate urban mobility services while minimizing residents’ safety risks is a key challenge for cities worldwide. In particular, many Asian cities face high traffic fatality rates, a rapidly growing urban population, increasing demand for cars, and inadequate infrastructure. Still, Asian cities can use a variety of strategies – ranging from relatively small, simple changes to large policy shifts – to improve the health and safety of urban residents. The rate of traffic fatalities in wealthier cities – such as Stockholm or the Asian cities of Hong Kong and Tokyo – is between one and three inhabitants per 100,000 residents. Other Asian cities have much higher rates. While city-level data is weak, reports show that rates in Indian, Chinese and Indonesian cities may be closer to 20 fatalities per 100,000 residents. These cities face challenges that make it particularly difficult to provide safe transport. Their often unplanned roads have a very dense mix of pedestrians, bicyclists, and vehicles of all types – such as rickshaws, jeepneys, informal public transport vehicles, and motorcycles. This can make it difficult to ensure an organized, safe mix of traffic. In addition, these cities often face institutional challenges that result in a reduced capacity to implement better designs or improved public transport. Providing safe urban mobility will become even more challenging in many Asian cities as they urbanize and car demand grows. According to the World Health Organization (WHO), the world’s urban population is expected to nearly double by 2050. Meanwhile, the world car population is expected to triple from 1 billion motor vehicles today to around 3 billion in 2050. Asian cities will add another 1.1 billion people in the next 20 years, and in China, for example, per capita vehicle ownership is expected to grow from 4 vehicles per 1,000 people in 2000 to 310 vehicles per 1,000 people in 2035. Many of these vehicles are being driven in cities, where growing incomes and populations are concentrated, leading to more traffic crashes. 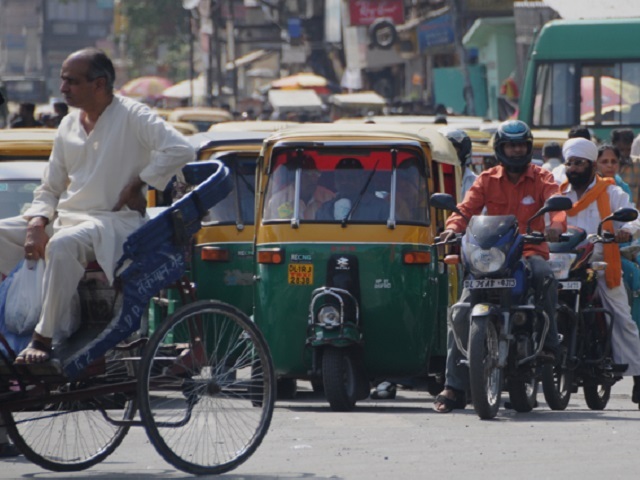 With daunting challenges facing many Asian cities, it is hard to consider where to start to improve road safety. It is politically unrealistic to think a city will entirely re-orient its streets overnight. Still, cities have great opportunities to integrate a variety of safety improvements. In Asian cities – just like anywhere else – focusing on the needs of people instead of cars can save more lives. Vulnerable road users such as pedestrians and bicyclists are the most at risk. Decreasing vehicle speeds – an undisputable cause of traffic deaths – can save many lives. As speeds increase, the chance of death from a collision rises exponentially. Introduce lane balance – where lanes are evenly lined up on both sides at intersections – which creates consistency and predictability for road users. Align pedestrian crossings properly with intersections and move them closer to where pedestrians actually move. Introduce basic median refuge islands. Integrate road safety audits into infrastructure projects to improve safety at the genesis of a project, preventing unsafe designs. In more major cases – such as Mexico City’s BRT – cities can also remove contraflow lanes for a more predictable traffic pattern that minimizes confusion for pedestrians. Cities can also alter pedestrian spaces to improve safety. Shanghai’s famous Nanjing Road is now a pedestrian shopping street, while Tokyo’s narrow streets are shared between vehicles and pedestrians, with vehicles traveling at very low speeds. With large numbers of pedestrians, Asian cities can introduce “all reds” that allow pedestrians to cross all directions – seen in Tokyo’s famous crossing in the Shibuya area. Korea has reduced child fatalities by a staggering 95 percent in part by introducing traffic calming measures and segregated sidewalks in school zones. Cities can also consider strategies to reduce vehicle use, such as congestion charging zones like the one in Singapore, or supporting sustainable transport. 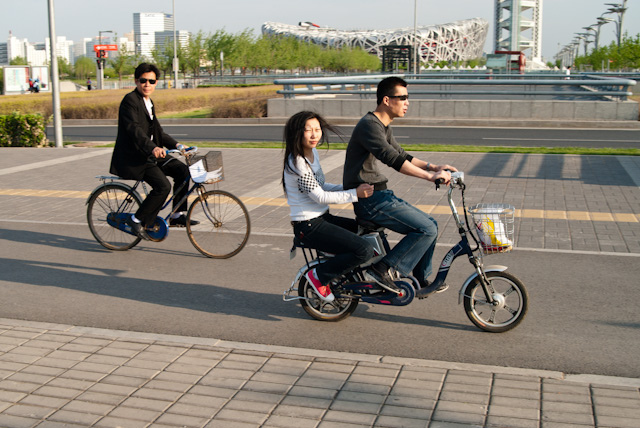 While cities in China may have once had the largest bicycle mode shares in the world, they now are struggling to preserve it. Some progress is being made, as new cycling infrastructure in Beijing, for example, is beginning to more formally segregate bicycles from vehicle traffic, especially at intersections using fences and medians. In Ahmedabad, India the city’s new BRT has helped reduce fatalities on the corridor by nearly 55 percent while also providing a safer form of transport compared to private vehicles. Separated bike lanes – like those in Beijing, pictured – improve bike safety and encourage active transport. Photo by Mike/Flickr. In addition to introducing these more incremental changes, countries can create safer streets through broad policy shifts. India provides a good example. Its new road safety bill – currently open for public comment – could save many, many lives through new governing bodies for road safety and transport, new standards for vehicle regulation and drivers licenses, new enforcement mechanisms, and more. Improving road safety not only saves lives, it also makes cities more enjoyable places to live. For example, Seoul, South Korea, removed a freeway, re-oriented transport in the city center, and replaced the viaduct with a linear park, creating a safer and more livable city. Cities worldwide – and particularly growing cities in Asia – must take advantage of strategies with successful track records to improve quality of life and save lives.